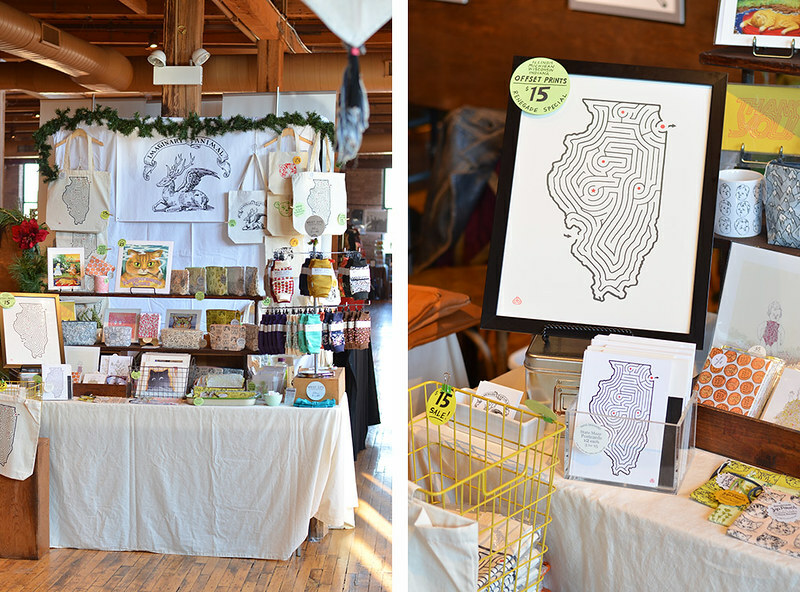 We had a great time at Renegade Craft Fair in Chicago last weekend. 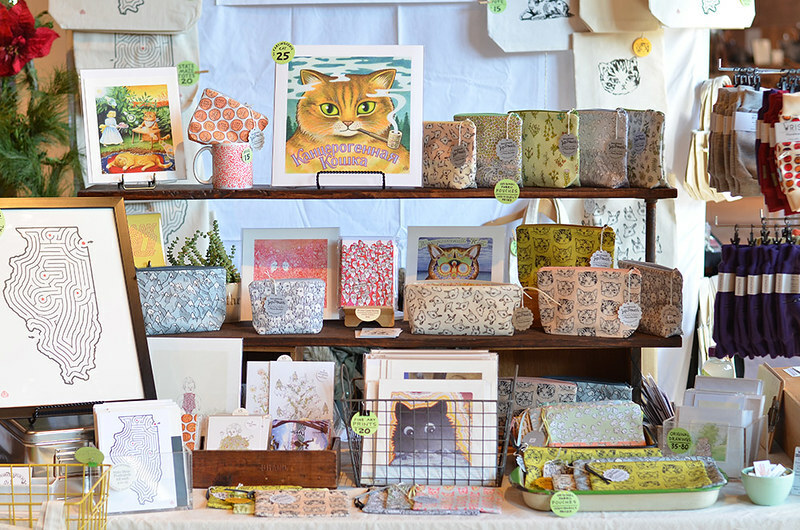 Here are a few shots of our booth before the crowds wandered in. 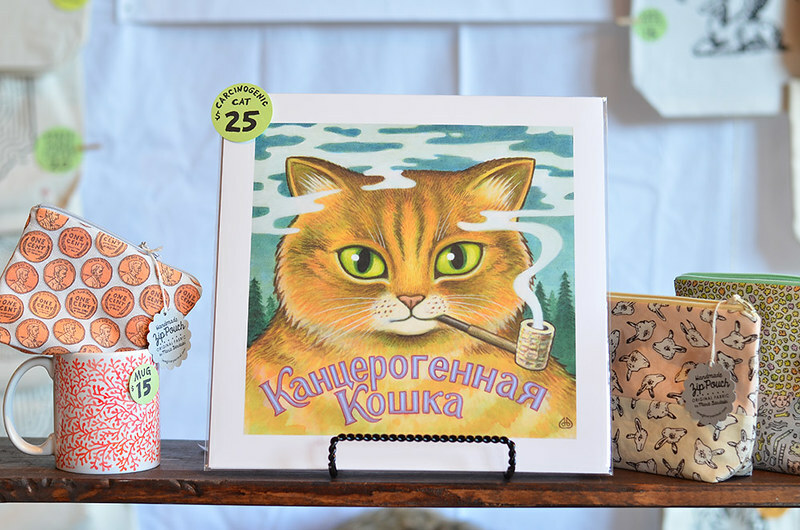 I love the print of David's "Carcinogenic Cat" top and center. Just a few of these left. Click here to grab one! Wrist Zips were our most popular product and we sold out of most varieties. I'll be making more soon, though! David's State Maze Prints, Postcards and Totes are always favorites. So far he's designed mazes for these states: CA, IN, IL, MI, MN, MO, NY, OH, OR, WI. Pretty amazing! I love it when people buy our goods to give as gifts. One customer bought a penny pouch for his friend who collects wheat back pennies… He gave it to her that very day and then she stopped by our booth later to say how much she loved it! Pretty awesome. My "Forever Mountains" pouches were a new favorite this year. Sold out of the medium boxy size, but there are still a couple large flat ones available here. Thanks to everyone who visited our booth and to anyone who will be sharing our work with friends this holiday season. We really appreciate your support!